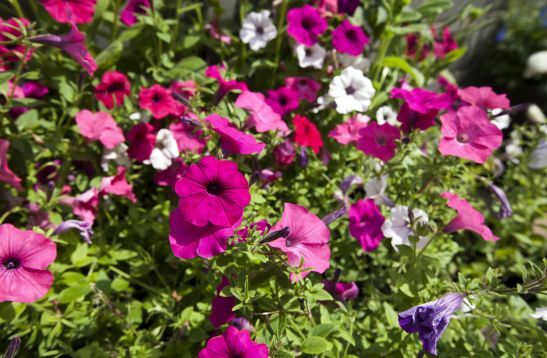 Get your garden ready for the spring and summer with these helpful tips! Warmer weather means that it’s time to start planning your garden maintenance so that your front or back yard will blossom with beautiful colors! Flower gardens are one of the best ways to increase the curb appeal of your property and make it stand out in your neighborhood. However, gardens do need some tender loving care in order for them to truly blossom. Here are four helpful maintenance tips to get your dream garden this spring! Spring cleaning is just as important in your garden as it is for the interior of your home! Leaves, snow and other debris tend to settle in during the dormant period, so you’ll need to clear this away. Also, remove weeds and prune the plants which survived the winter season. Do this sooner rather than later, since plants may already be emerging from the ground and you don’t want to damage these. Despite falling and melting snow, soil tends to dry out during the winter. Add some compost or manure to it after clearing out the weeds and other debris in order to infuse the garden with moisture. Wait until a few weeks afterward to plant additional flowers to give the moisture time to soak through the soil. Many homeowners take visual aesthetics into consideration when planting their flower gardens every spring. But you should wake up and smell the roses by choosing flowers that smell as good as they look! Not only will your property look great, but the pleasant fragrance, combined with a comfortable patio chair and a good book, will make it a calming place to relax this spring and summer! Gardens need consistent maintenance during the entire season in order to keep their beauty! During the spring, add mulch in order to help protect against weeds. Also, don’t forget to water the garden every 3-5 days! This entry was posted on Friday, March 31st, 2017	at 5:12 pm	and is filed under Curb Appeal, Landscaping Design, Landscaping Maintenance	. You can follow any responses to this entry through the RSS 2.0	feed. Both comments and pings are currently closed.